Looking to get a bit more organized and start to live life as more of a minimalist? No matter how chaotic your life may be, these five simple steps can help you declutter, get organized, and feel more on top of your day to day tasks. #1 One in, Two Out: This system works wonders for reducing clutter. It works by removing or donating two items whenever you bring a new one into your home. Maybe this means donating two items of clothing for every new outfit you buy. You can pick two items of clothing that have been sitting in your closet and unworn for ages! This also works great when it comes to decluttering your kid’s playroom. For every new toy they get, get them in the habit of donating two toys to those in need. Not only is this a great way to live a more minimalist life, but it gets your kiddos involved in helping those in need. It’s a win, win. #2 Look at What You Have More Than What You Want: It is so easy for us to get caught up in what we want that we forget about all the things that we do have. This can also lead to a build up of things we simply don’t need if we act on our desire each time we want something new. Instead of impulse buying, think about if you really need that item and instead think about everything you have instead. This can help you keep a more organized home, and can also help you practice gratitude at the same time. #3 Label Things That Need to Be Organized: You can purchase some super cute labeling systems online like chalkboard or dry erase reusable labels to use on things like storage bins, kids toy bins, and even in your pantry. When you start to organize items that are usually cluttered, and then label them, you will help to create a more organized system for yourself to keep things minimal, organized, and easier to find. #4 Create a Folder System: You know that pile of unopened mail that often sits on your kitchen table and collects dust? Well, creating a folder system can take care of that clutter! Try picking up some simple folders with labels and organizing any paperwork that tends to just sit and add to the clutter in your home. By creating an organization system, you will also be more likely to file important files right away as opposed to letting it sit out. #5 Keep Your Counter Tops & Tables Clear: There’s something about a clear table or countertop that makes you feel just a tad more organized! Try to keep your countertops clear and put things away where they belong. It’s great to get your kids and significant others involved in this too. If everyone pitches in, it becomes so much easier to declutter your home. Living life as a minimalist can be very freeing! You aren’t dragged down by clutter in your home, and you may even learn how to change your habits when it comes to organization and how much extra you bring into your home. 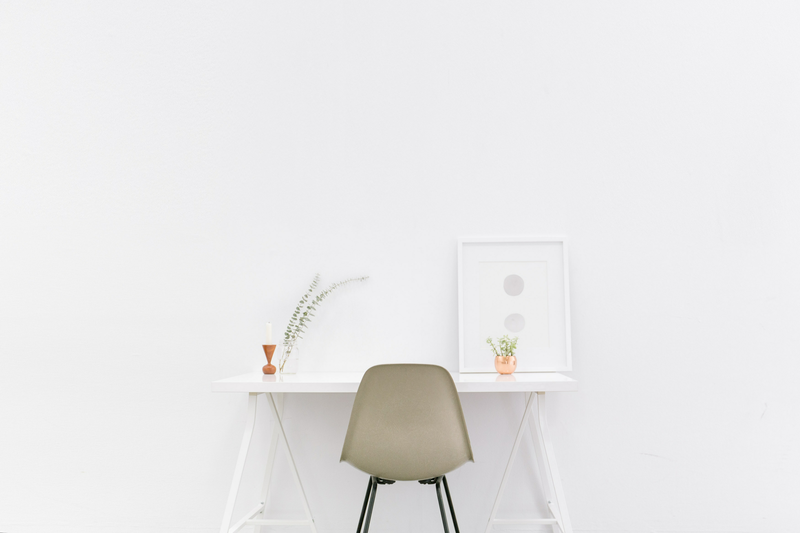 Take these five steps to try to be more of a minimalist and see how much more organized you feel in your day to day life.